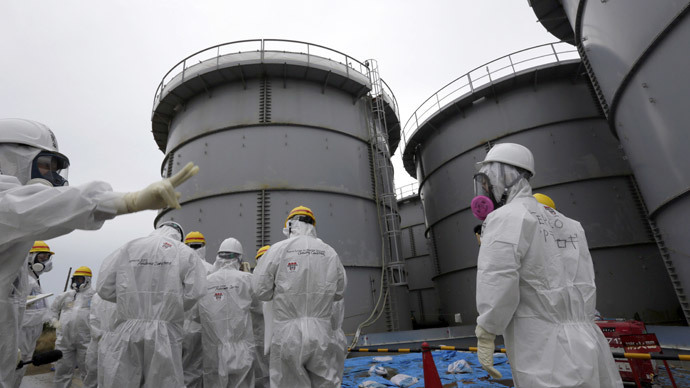 The radioactive water clean-up system at the stricken Fukushima plant was hit by another issue as its alarm went off. The warning alerted that one of the two clean-up pumps had stopped functioning. 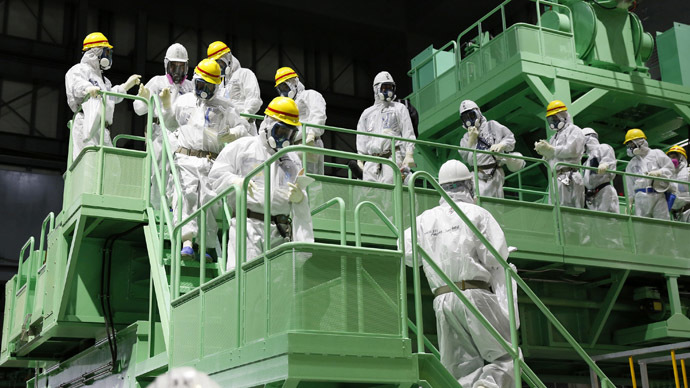 After the alarm, a pump for sending tainted water into equipment where radioactive materials are absorbed stopped working, the facility’s operator Tokyo Electric Power Co. (TEPCO) said. The damaged line was one of the two currently in test operation. With only one line working, the daily clean-up capacity stands at 250 tons per line. 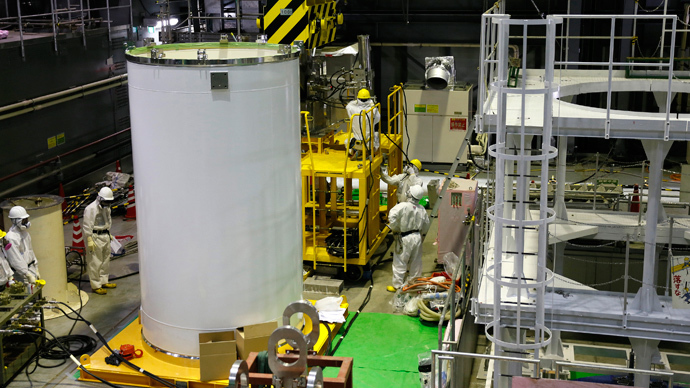 The problem lies in one of the three lines of the Advanced Liquid Processing System (ALPS), according to TEPCO officials, as cited by Jiji, a local media outlet. 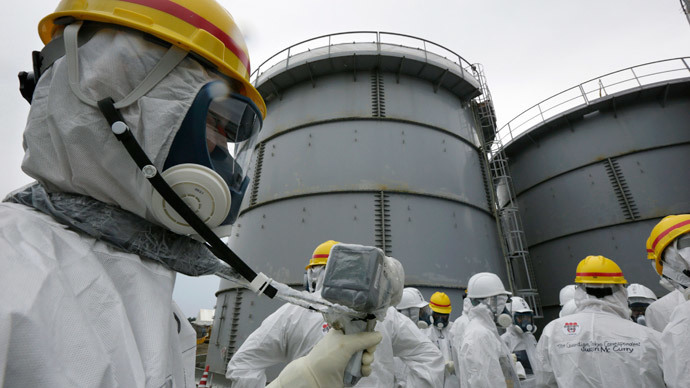 By March 2015, TEPCO plans to increase its total ALPS capacity to dispose of 340,000 tons of radioactive water currently stored in tanks, as well as large amounts of infected water in the basements of reactor and other buildings. 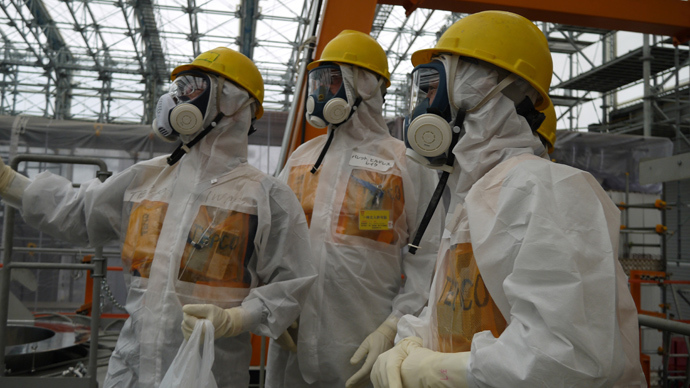 This is not the first incident surrounding Fukushima that has emerged this year. 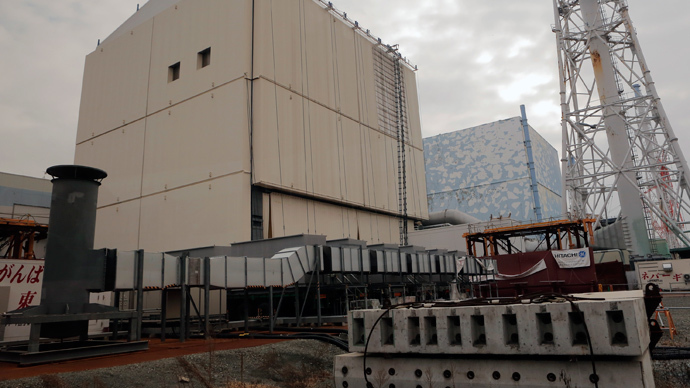 In mid-January, TEPCO warned that nuclear radiation at the boundaries of the damaged facility had jumped to eight times the government safety guidelines, TEPCO has said. 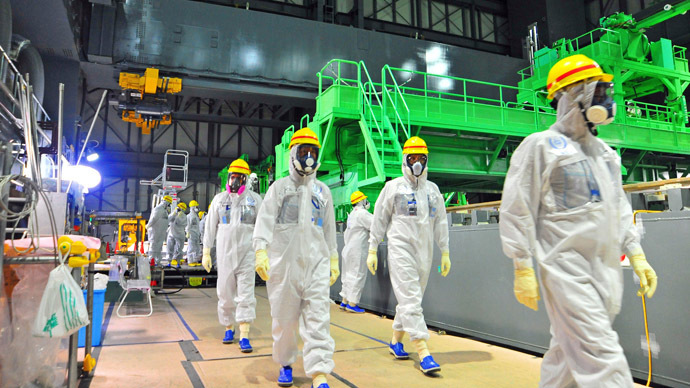 Only a week into the New Year, the operator of the crippled Fukushima stopped using its systems to decontaminate radioactive water at the facility, Japanese broadcaster NHK reported. Then, the crane to get rid of the container from the ALPS ceased functioning. In December, record radiation was found in an area near a steel pipe that connects reactor buildings. That amount could kill an exposed person in 20 minutes, according to local media.